It’s a wrap for 2011 (I say “wrap” because of new career in movies…more on that later) and I wanted to take a look back at some of my favorite photos and experiences from the past year. The year started off with a 3-week trip to Africa with two different groups, the Eastern Congo Initiative and the Nike Foundation. I had the pleasure of traveling to the Congo for a second time with ECI and it’s founder Ben Affleck, along with a delegation that included my new favorite Republican, Cindy McCain. While in Congo, we visited sites including the Mungunga III refugee camp, HEAL Africa, Children’s Voice and YOLE! Africa. For the Nike Foundation, we traveled to Kenya, Ethiopia, back to the Congo and Rwanda. 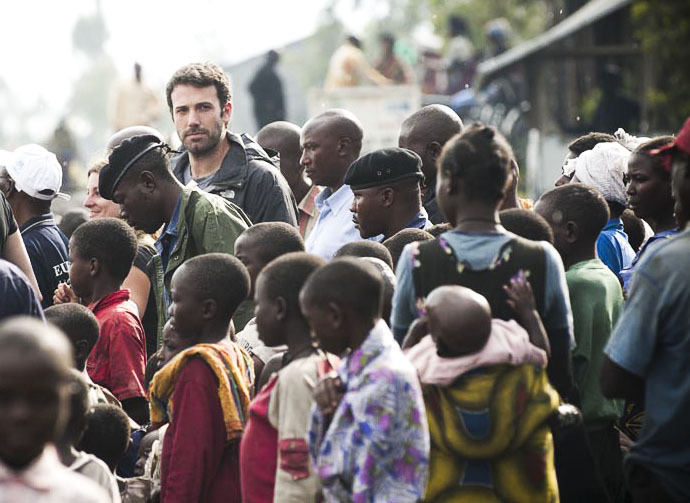 Ben Affleck at Mungunga III refugee camp near Goma, DRC. 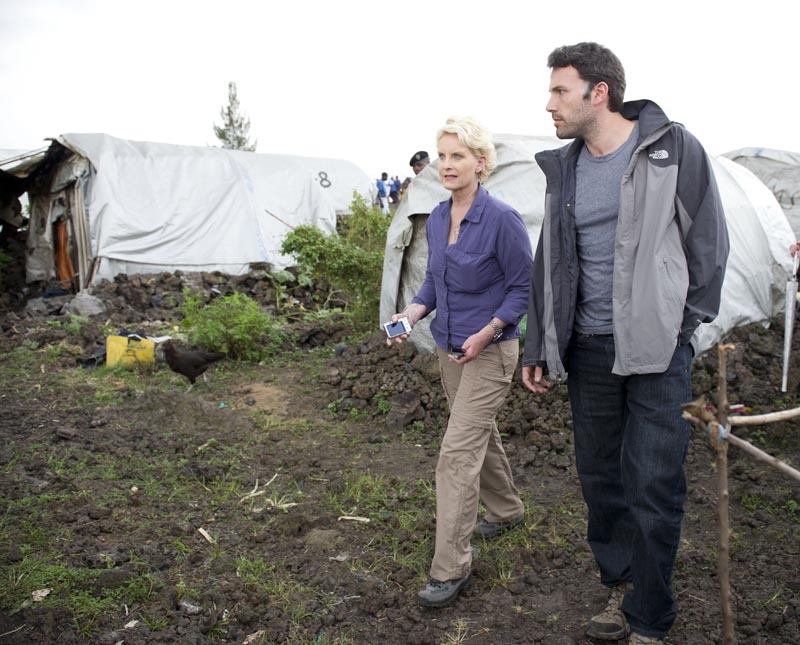 Cindy McCain and Ben Affleck at the Mungunga III refugee camp. While traveling in Africa, I had the opportunity to go an a gorilla safari in the Volcanoes National Park in Rwanda. It was one of the most fascinating and incredible experiences to be so close to these magnificent creatures. It was a long hike to get to the gorillas, so next time, perhaps only one camera rather than the three I was carrying with me. 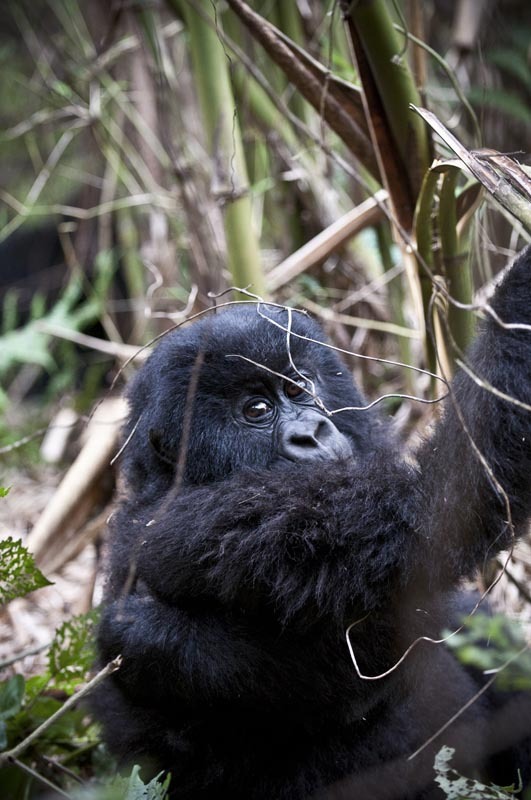 A young gorilla at the Volcanoes National Park in Rwanda. 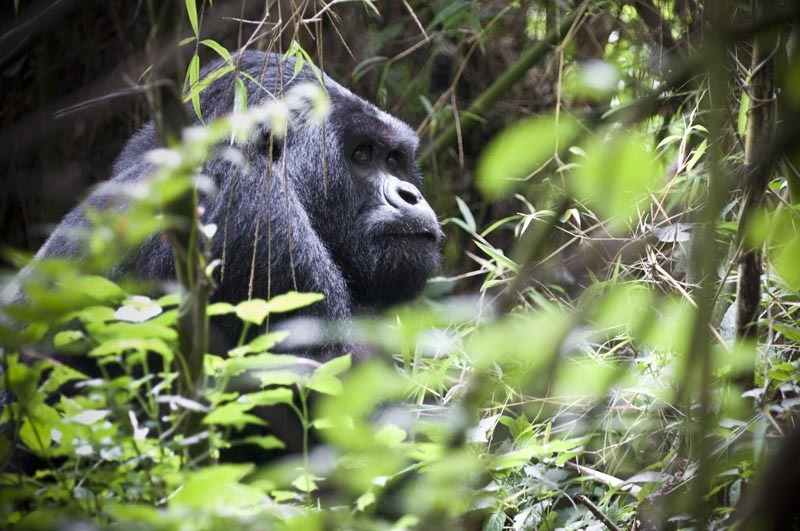 A male silverback gorilla in the jungle in Rwanda. 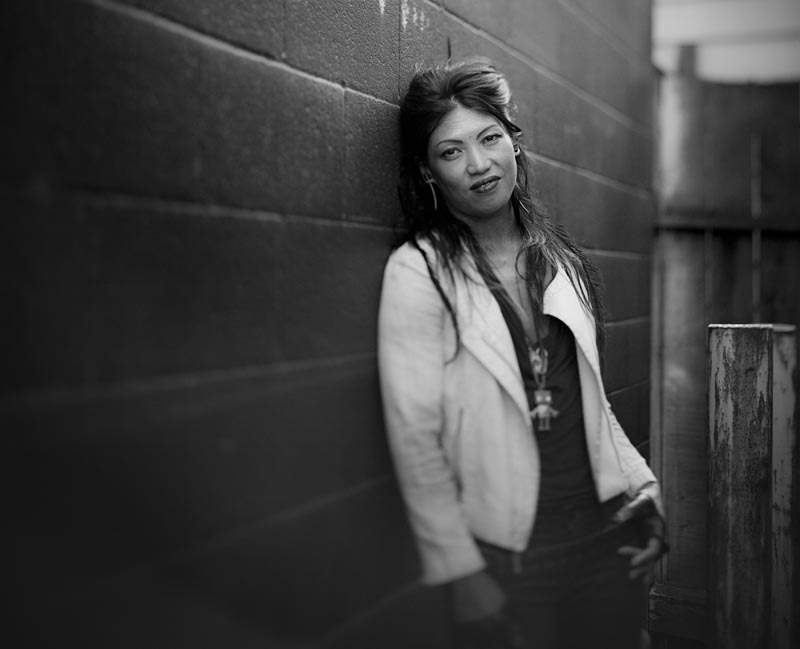 One of the biggest honors this past year was to be chosen as one of 20 photographers in ASMP’s (American Society of Media Professionals) Best of 2011 portfolios. My work on Alzheimer’s for The Shriver Report was featured along with an interview. In March, I was invited to be part of a panel of former White House Photographers at the John F. Kennedy Jr. Forum at Harvard University’s Institute of Politics. David Valdez, David Hume Kennerly, Eric Draper and I discussed our experiences working at the White House. The entire discussion was recorded by C-Span and can be seen here. Thanks to my good friend and former co-worker at the White House, Kara Minar. I still manage to stay connected with the Clinton family, photographing three different Clinton Global Initiative meetings this year. In April, I was at CGI University in San Diego, then at CGI America in Chicago in June and finally, the CGI Annual meeting in September in New York City. The highlight of the New York meeting was watching Chelsea Clinton interview her mother, Secretary of State Hillary Rodham Clinton. 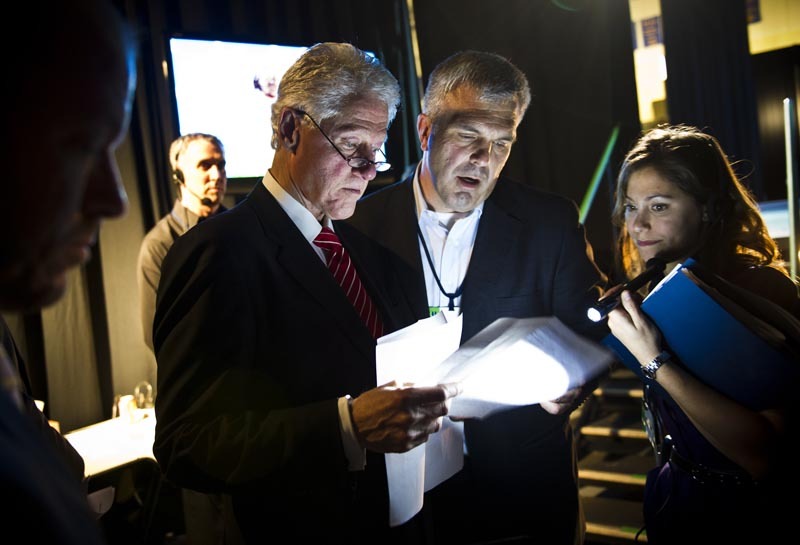 President Clinton preparing his remarks before a going on stage at CGIU in San Diego. 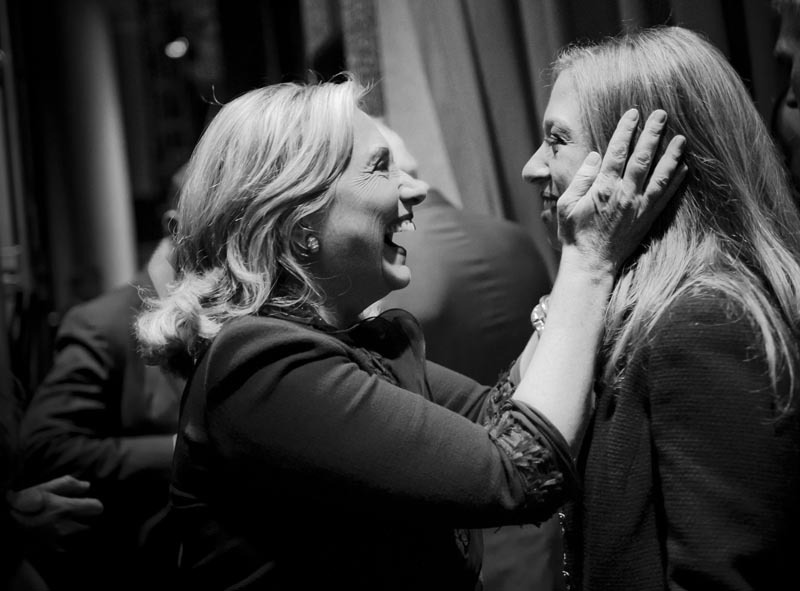 Hillary and Chelsea share a mother/daughter moment before taking the stage at CGI in New York. 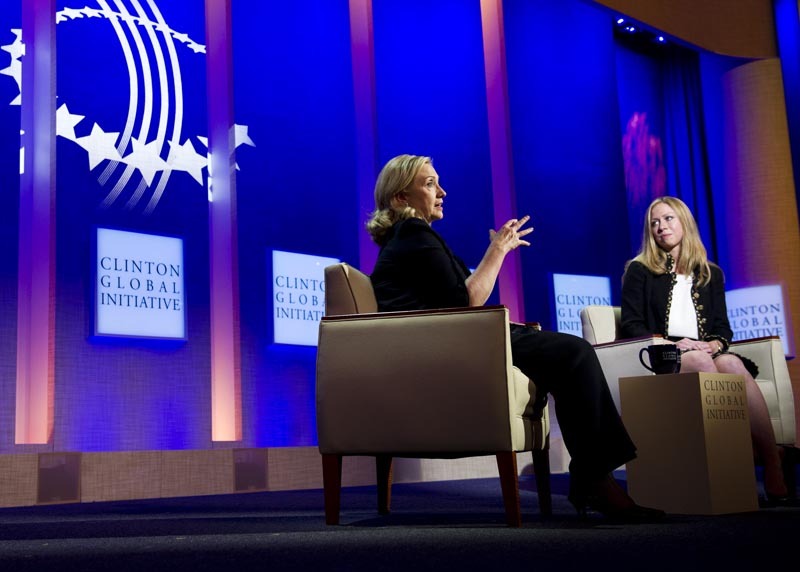 Chelsea Clinton interviews her mother, Secretary of State Hillary Rodham Clinton at the annual CGI meeting in New York. In May, I had an exhibit of my Hillary 2008 campaign photos and selects from my White House years, at the Art Institute of Seattle. 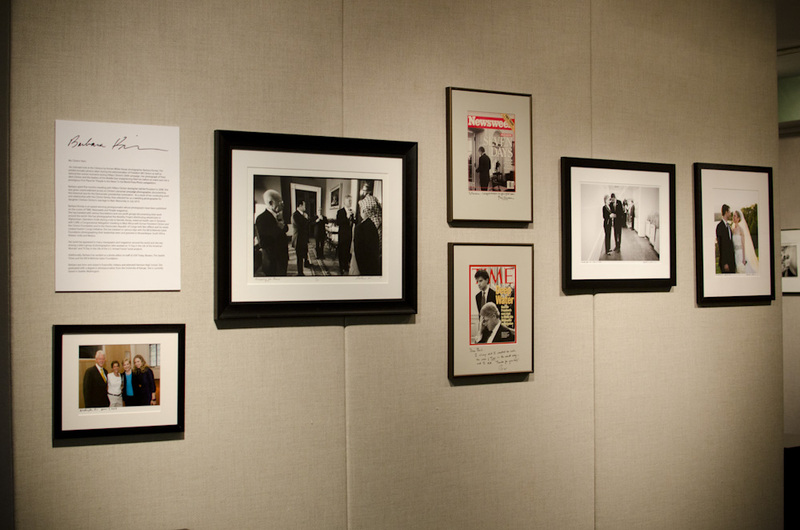 Some of the same campaign photos are currently on exhibit in the Stauffer-Flint Hall building on the campus of my alma mater, University of Kansas in Lawrence. They will on display at KU until June. The summer brought a couple of different challenges for me. I decided to take a 4×5 large format class at Photo Center Northwest. I have always loved portraits shot with a 4 x 5, so was determined to learn the camera. It was difficult to focus (the image in the viewfinder is backwards and upside down) but produces sharp, big negatives. I was back in the darkroom, processing sheets of film and making huge 16 x 20 black & white prints. One of my first portraits was of my daughter Mavis. The toughest part was trying to get a 7-year-old to sit still while I focused this beast of a camera. I finally offered to pay her $5 if she would just not move for a minute – her first paid modeling job. My friend Olivia Taguinod was my other model, working for free. A special thanks to my instructor Jahnavi Lisa Barnes, for being so patient with me. Also, this summer, my movie career…..I have always wanted to work on a movie set shooting production stills, but have never had the opportunity. I finally got my chance when Seattle-based film director Megan Griffiths called me to work on her new film “Eden.” Megan’s last film “The Off Hours” was shown at Sundance last year and is getting all sorts of recognition this year. I can’t say a lot about her new film “Eden,” because it is still in post production, so stay tuned for more details. What I can say, is that I had an amazing experience and I was relieved to find out that I do indeed love working on movies. 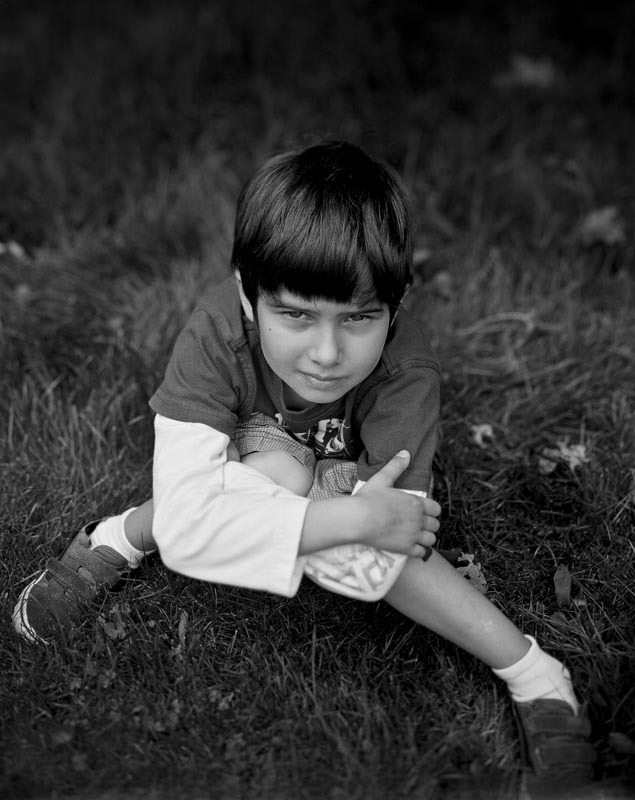 As an editorial photographer, my goal is to capture the decisive moment in time with my camera. On the movie set, if I missed that decisive moment, they do re-take after re-take after re-take, so I eventually am able to get the shot! Of course, there were many other challenges – I had to use a sound blimp around my camera, which muffles the noise of the camera, but is heavy and cumbersome. Also, the still photographer on set is usually always in the way of everything, all of the time. Our big star politely asked me to move out of his sight line, way out of his sight line…..on the very first day, in front of the whole cast and crew. I wanted to crawl into a hole, but instead, had a conversation with him after the scene. He put a hand on my shoulder and gave me a few tips on shooting while he was acting. Certain actors don’t like distractions (distraction meaning – the still photographer) during their scenes. So, lesson learned. It was a great experience and I can’t wait to see “Eden” on the big screen. 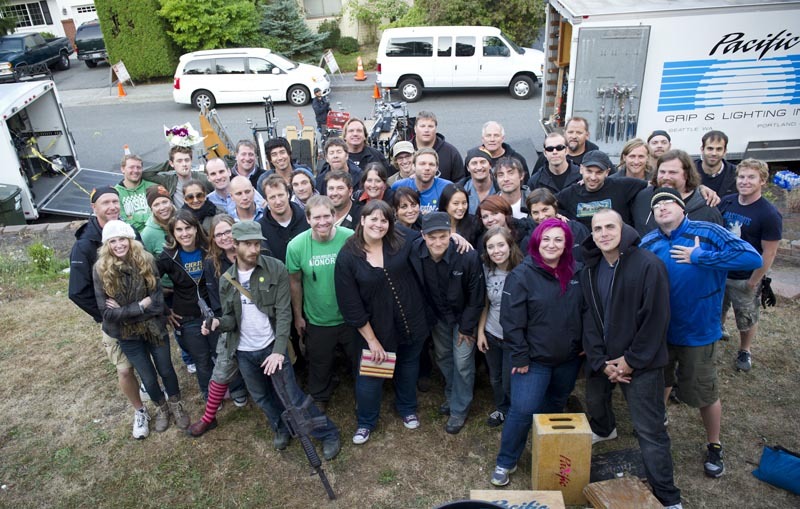 The cast and crew of "Eden" on our last day of shooting. I had a fun assignment for the September issue of the Washington Athletic Club’s monthly magazine. I shot four of their members who excel in various sports including basketball, swimming, running and biking. My photo of Stoney Stone made the cover! 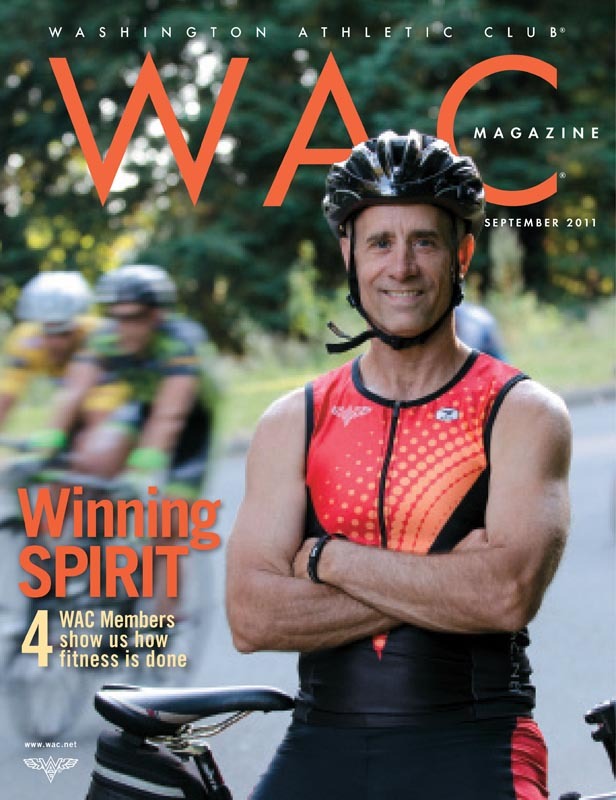 Erie "Stoney" Stone on the cover of the Washington Athletic Club's September issue. In October, I was in Los Angeles to shoot the William J. Clinton Foundation’s Decade of Difference concert at the Hollywood Bowl. The event, a fundraiser for the foundation, was to honor President Clinton’s 65th birthday and featured Usher, Bono and the Edge, Kenny Chesney, K’naan and Lady Gaga, among others. President Clinton and Lady Gaga backstage at the Clinton Foundation's "Decade of Difference" concert at the Hollywood Bowl in L.A. It seems like I was on the wedding circuit in the fall, shooting weddings in Seattle, Washington D.C., Manhattan, KS and Austin, TX. Check out some of my earlier blog postings for photos from some of those events. 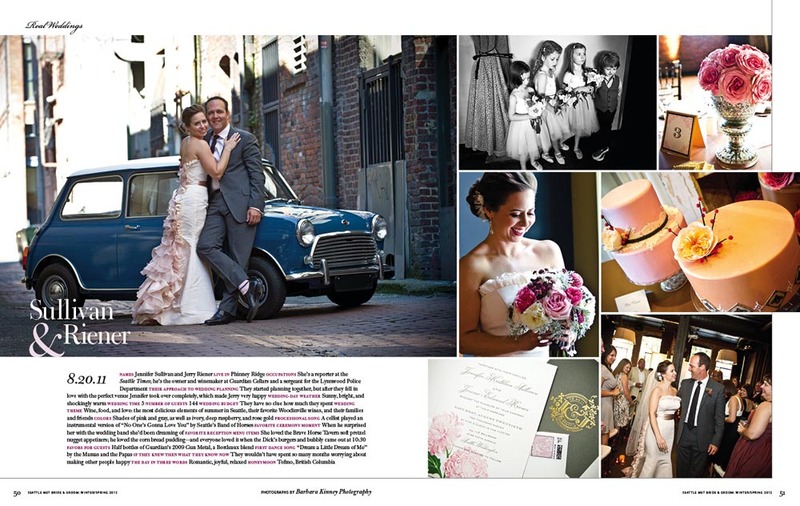 My photographs of Jennifer Sullivan and Jerry Riener’s wedding were recently featured in Seattle Metropolitan’s special Winter/Spring 2012 Bride & Groom issue. The online version is here. The year ended with a wedding shoot on New Year’s Eve, so I took it as a good sign that I was working on the very last day of 2011. I hope that 2012 has as much (or more!) work, new challenges and great adventures. I look forward to seeing and working with all of you who have taken the time to read this blog! I will leave you with this image……….yea, my job is pretty great sometimes. President Clinton, ME, Lady Gaga........cool. Randy Blythe on January 15, 2012 at 6:16 pm. richard rabinowitz on January 15, 2012 at 7:46 pm. I am pleased to know you and see that such lofty shooting assignments have not given you a big head!! Liz Banse on January 16, 2012 at 10:15 am. Barb, you have been busy!! I can’t think of a more deserving photographer and luckier clients. Looking forward to working with you in 2012 as well! stacey green on January 16, 2012 at 10:28 am. Tammy Fickas on January 16, 2012 at 3:41 pm.